It’s day 4 of the #TMIblogtour! Back in March we reported that Cassandra Clare’s UK publisher Walker Books would reissue the covers of The Mortal Instruments and to celebrate the publication of these stunning new editions of TMI, out in the UK today, we’ve teamed up with Walker Books for a blog tour to show the amazing artwork created for these covers! 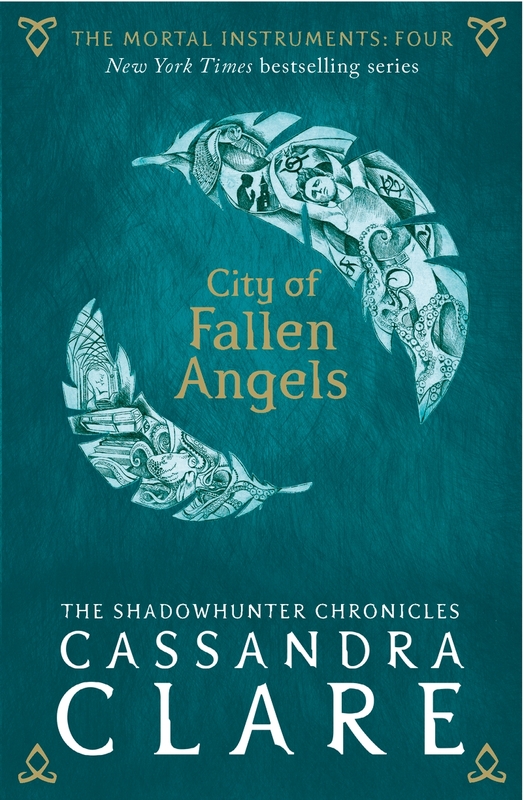 Here’s the piece of art used for City of Fallen Angels, and the cover – click on the thumbnail and the finished cover to see the intricate detail of it! It looks absolutely amazing! Using this method, she made an intricate etching for each book, drawing on a metal plate. This was then used to produce the print featured above, which we then digitally coloured to use on the cover. The choice of illustration for each cover was the result of a conversation between the Walker Books designer, Maria, and Míla. Everything had to be approved at sketch stage, because once the illustration is drawn onto the plate it’s very difficult to modify. So for each piece of art, Maria sent Míla a full cover briefing of 5/6 pages per book with a synopsis, symbols, objects and extracts from the books with descriptions of characters, scenes and locations. The briefing also suggested a few ways that Míla could go with the piece for the book. Below is a snippet of the illustration briefing for City of Fallen Angels. This book focuses a lot on Simon and his struggles at adapting to his new vampire life. He is also a Daylighter (a vampire who doesn’t get burned by the sun) and he has the mark of Cain to protect him from his enemies. Everybody wants Simon for some reason, as he is both a powerful weapon and a threatening enemy. Some vampires want to kill him and some want to have him as an ally. The demon Lilith wants to use him to resurrect Sebastian. It would be nice to have Simon as the main character. He is now a vampire. He can stand the sun as well, but he is lost in a new world. He could be in one of the feathers arching his back and with the mark of Cain on his forehead radiating light. On the background we could have the Church of Talto and the transparent coffin where Sebastian is resting inside. On the other feather could be all his enemies: vampires, Camille, the demon Lilith… Or if that is too many figures we could have dark shadows or characters with hooded clothes. The main point is making it look like Simon is being threatened or suffering. Míla first sent in sketches with her initial thoughts. Then there would be a bit of conversation about the sketch, before she produced the final etching on the metal plate to make the print with. Below is an example that shows the process. 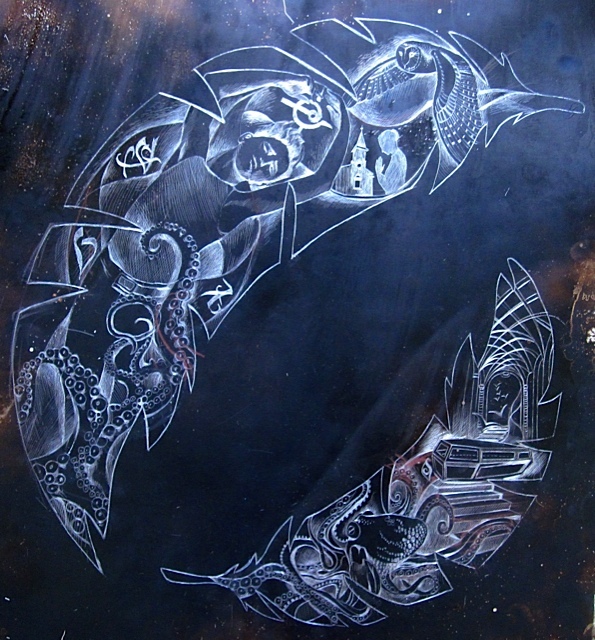 Here is the etched metal plate for City of Fallen Angels (click the picture for a larger version). Tomorrow, visit Shadowhunters World to see the artwork from City of Lost Souls! 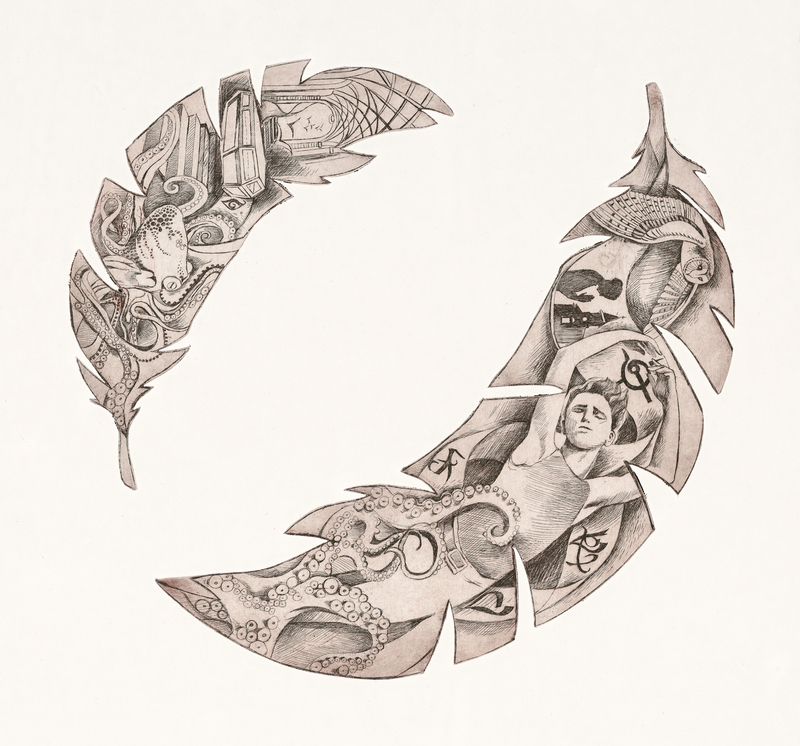 We think that Mìla’s artwork for City of Fallen Angels looks phenomenal and the process of creation sounds incredibly interesting! Kudos, Mìla, and thank you for creating such a beautiful cover. The new editions are available in the UK today! Cover Illustration © 2015 Walker Books Ltd. If you are in the UK, you can order them from Amazon, Waterstones and find them in your local bookshop. In Australia, you can order them from Booktopia and Bookworld. These are UK English Language editions, but you can also order them online even if you do not live in the UK. We have included the links to the Book Depository’s pages and also the ISBN numbers you need if you want your local bookseller to order them in for you. Countries the Book Depository ships to with free delivery. Singapore, India, South Africa, Germany, The Netherlands, Greece, United Arab Emirates, Slovakia, Lebanon, Pakistan, Switzerland, Malta, Austria, Spain, Sweden, Jordan, Denmark. Thanks to the lovely people from Walker Books we are also hosting a giveaway for the complete set! 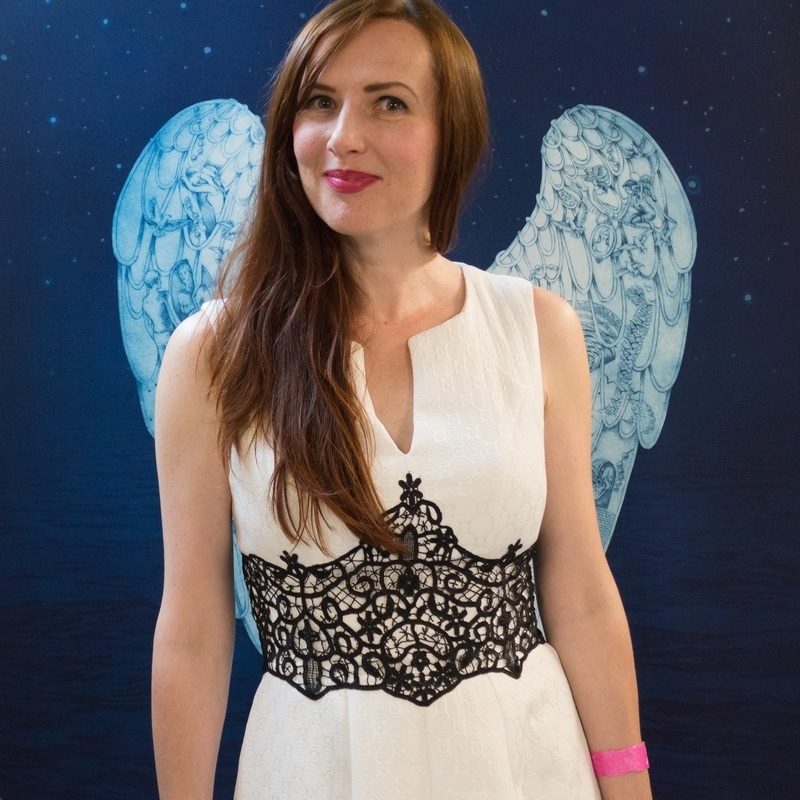 Click on the angelic power rune above to get to the Rafflecopter page. The giveaway is for UK and Republic of Ireland residents only since Walker Books is an English publishing house. I love these books so much!! They have been a huge part of my life and I’m so thankful for you guys doing this giveaway!! The new covers are absolutely stunning! Can’t wait to have them on my shelf! The CoB and CoFA covers are so pretty,they are my favourite covers of the series! 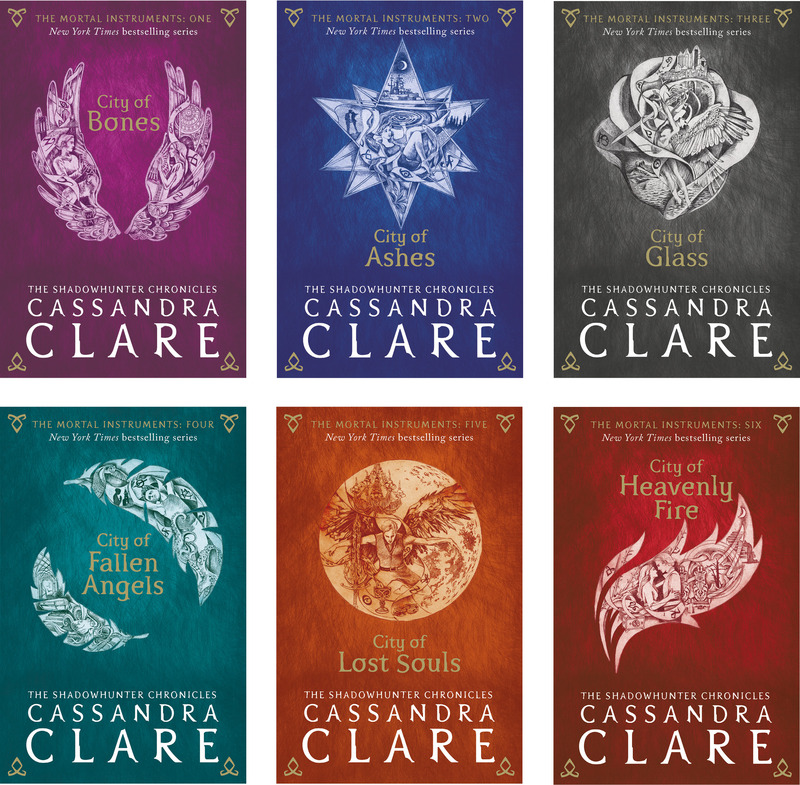 does anyone know if they are going to redo TID to match these new TMI covers? Those are awesome! They are coming out with new covers in America, but they dont look anything like that! Those are stunning. Can the US get them? Yes, the Book Depository delivers to the USA. This series means so much to me because it was one of the first series I properly read and became obsessed with. These covers are so so beautiful and I really need them now ❤ thanks so much for the giveaway! Wow. That artist is super talented. Kudos to you, Míla! I have never read any of the books in this series. I love the book covers and they sound like an amazing read to get hooked on! Honestly, what’s not to love? The world Cassie has created is so unique and exciting. We’re always stumbling into new parts and meeting new and exciting characters. Reading about Clary’s journey in discovering herself and her destiny is something I’m honoured to have been able to follow.